On the premiere episode, Jeff & TC tackle Tom Hanks’ first feature-length role (no really, check it out on IMDB! 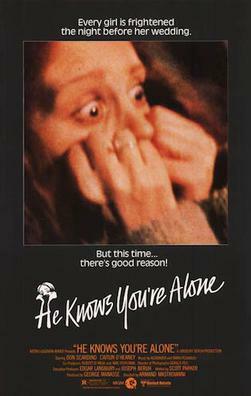 ), the 1980 horror classic “He Knows You’re Alone”! What wonders of cinema does this movie hold? Will we see the main character’s daily activity including dress fitting and a workout? When does Tom Hanks show up in this thing? Was it worth our time?! This and more on this week’s episode!